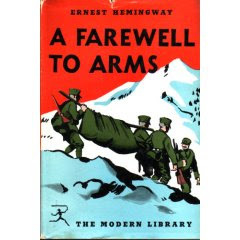 Farewell to Arms is a semi-autobiographical account of Hemingway’s experiences during WW1. Lt Henry (wink-wink) is a hard drinking American who has volunteered as an ambulance driver in the Italian Army. Italy is deep in the war with Austria and as the war progresses the danger to Henry and his men escalates. During the lulls, Henry meets an English nurse named Catherine Barkley. 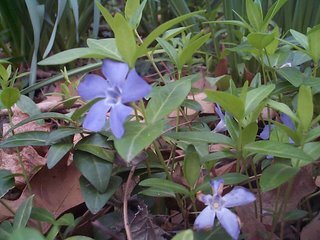 Whether through desperation or loneliness, the couple fall in love and seek out ways to be alone together, despite the obstacles. The novel often has beautiful descriptions of the countryside, as well as scenes of horrific violence. As grim and awful as some of those scenes are, Hemingway’s beautiful prose made it worth reading. However, I never really felt attached to Henry and Catherine. The relationship is written from Henry’s rather distant point of view. I felt the relationship was based on lust and fear from how I read it. I never really felt much emotion from him until the very end. I guess I’m a very emotional reader. I like to get into characters heads and know their motivations. It didn’t seem possible here. The writing technique is very interesting. It’s terse and to the point: we only know what is going on through the words and actions of the characters. Hemingway does, however, drift off into a stream-of-consciousness style every once in a while when he thought of going to bed with Catherine. The futility of war is a big theme in A Farewell to Arms. Some of things that happen seem pointless and, if it wasn’t so terrible, ridiculous. Not only did I feel that Hemingway felt war was pointless but life as well. Often he says “they get you in the end”. No wonder he had the life he did. So, I’m not a big fan of Hemingway and I only read this with my book club. I’ve never liked him since grade 10 and The Old Man and the Sea so I guess I’m biased and you shouldn’t listen to me. If you like the guy, have at it. It’s apparently his best work. I re-read Hemingway's "Hills Like White Elephants" recently for the discussion at A Curious Singularity and was struck by just how much Hemingway reveals through dialog alone. And sparse dialog at that. The meaning seems to be contained completely in the silences. This lead me to thinking that I should go back and reread some of his novels, since I haven't read any of his books in about 25 years. Now that I've read your post, I'm thinking maybe I should start with this one. It will be interesting to see how my reaction to the work has changed over the years. I think he might be a love him or hate him kind of author. I've never really "got" him, although I appreciate his talent.